AkzoNobel Coatings, a multinational chemicals and colors corporation, wanted to create a sampler of their latest range of architectural colors to be distributed to architects and civil engineers. 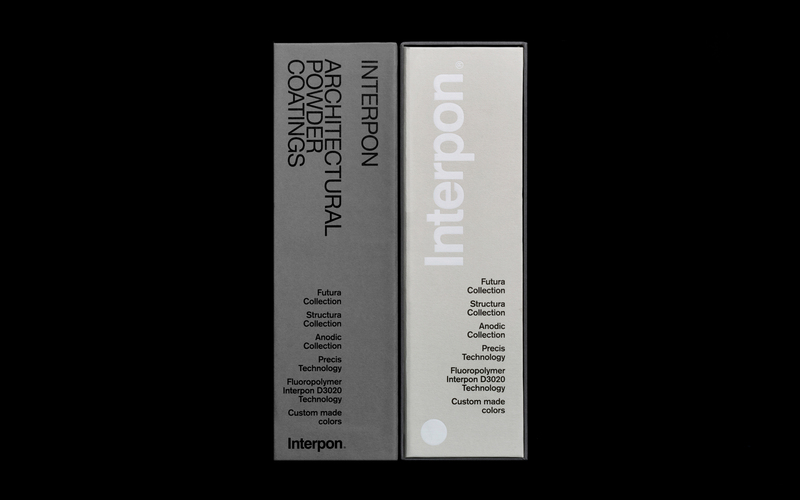 We were tasked with creating a sampling book that would become a coveted object by its recipients. The format of the sampler was the initial challenge: the large number of samples to be included and their placement on metal strips complicated the production parameters. We chose a binder format to make the sampler easier to browse, and to allow the client to add samples in the future. 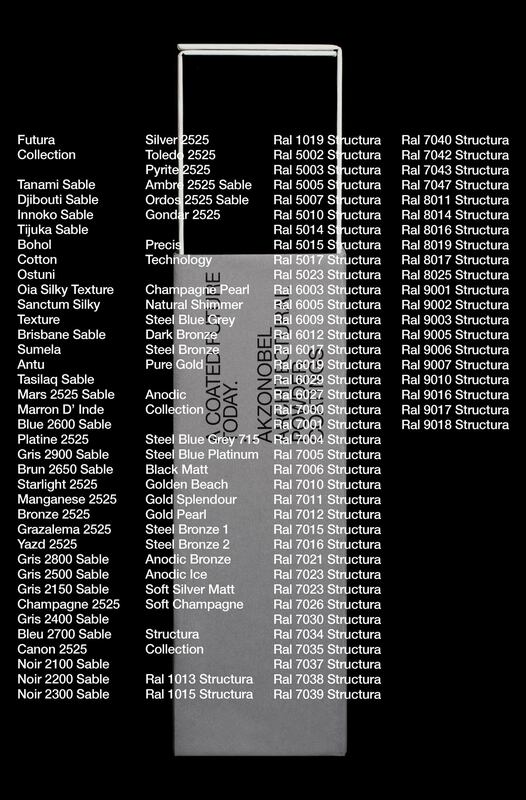 We developed the “A coated future, today” concept to express the actual and aspirational properties of the color range. Typography is used both to convey information and as the primary visual element. 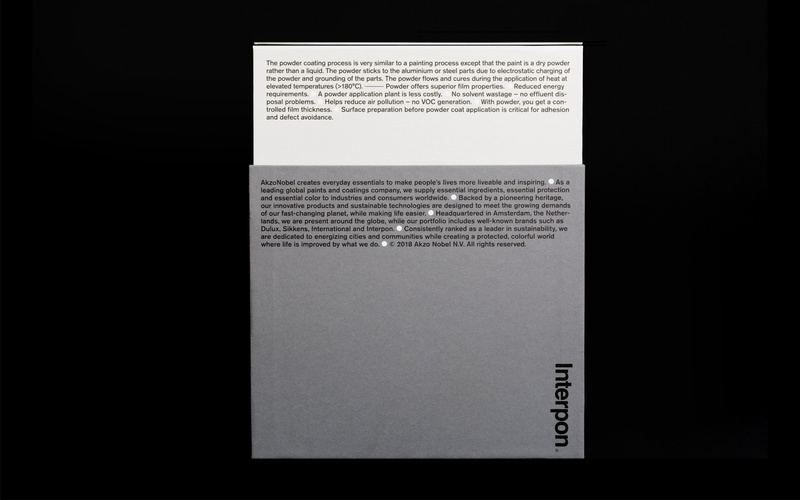 Since the samples provide a strong color element, the rest of the design is kept neutral, in gray, white and black, enhancing the visual impact of the typography. The overall design approach led to a finished product that is essentially a reference tool, rather than a simple sampler. 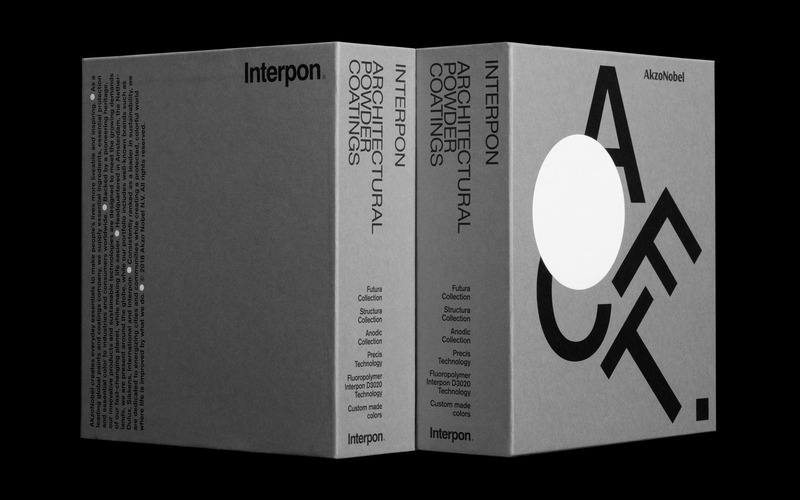 The binder format engages the recipients, primarily architects, to interact with the contents, building interest for the brand and its products.